Unless you are about 28mm tall, the TRUE LINE OF SIGHT can be very hard to establish and can lead to discussions at the gaming table. Well, no more. The compact Marker Light Laser Pointer will show you exactly what your models can see – no matter the terrain or battlefield – making it an absolute invaluable tool for Wargaming. 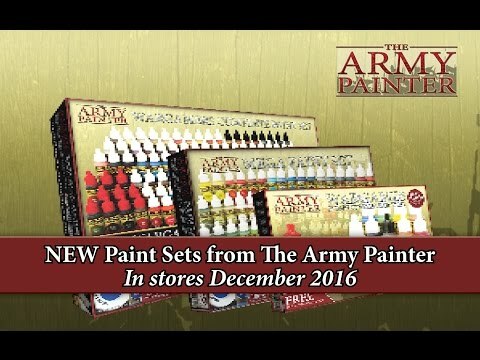 The Army Painter Project Paint Station is the perfect tool for the immaculate hobbyist, that wants all his or her Warpaints within easy reach and well sorted for their painting project. The Project Paint Station holds 30 assorted Warpaints and 7 brushes which is more than you need for any specific painting project.